Offering you a complete choice of products which include abranet soft, abranet discs and abranet eco. 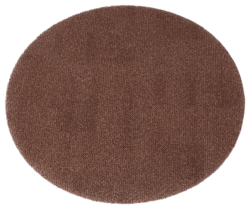 Abranet discs offered comprise unique patented sanding material that comes with open mesh support and has aluminum oxide grain resin bonding with polyamide fabric that adds to its durable usage. Further, these abrasive discs are also easy to clean and provide for uniform sanding pattern and smooth surface finish. Some of its feature include suitable for wet/dry wood sanding; available in convenient 3" x 4" sheet finish for hand sanding operations. Mirka Abranet Eco Rolls 115mm wide x 2.5meter long rolls. Abranet Eco is a heavier duty grade of the original Abranet. 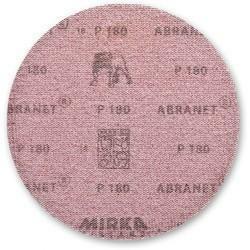 Mirka Abranet Eco rolls are 115 mm wide x 2.5 meters long. They are available in the following grits P80, P120, P180 and P240. They are sold in both single rolls, in packs of 5 rolls, and bulk cartons containing 10 rolls to save you even more. Abranet ECO discs offered provides suitability for machine/hand based dry sanding process and in combination with dust extraction equipment it provides for dust-free sanding support. Further, its use also assures of achieving better surface finish as well as at same time allowing elimination of issues related to dust clogging. Some of its features include product developed to retain for longer its original aggressive sanding performance; makes use of heavier duty polyamide fabric mesh backing support for stiffer less flexible finish which makes it suitable for heavier duty projects in painting and other field; suitability for use on materials like aluminum, hard wood, MDF / HDF, non-ferrous metal and others. 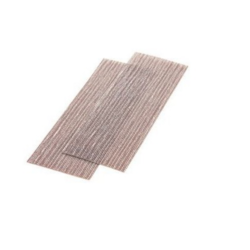 Mirka Abranet Eco Rolls 115mm wide x 2.5meter long rolls. Abranet Eco is a heavier duty grade of the original Abranet.